2009 / Color 1:20 min. 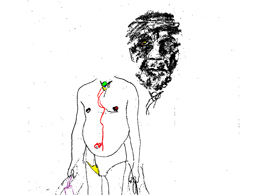 Figures of otherness, somehow familiar, are layered with tracings, gestural drawings, and jewel-like colours. They form a crowd of whirligigs, dancing to a broken tune, in this palimpsest of image and sound.